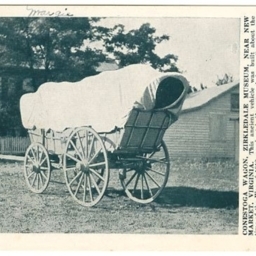 Postcard showing a Conestoga Wagon on display at the Zirkledale Museum. 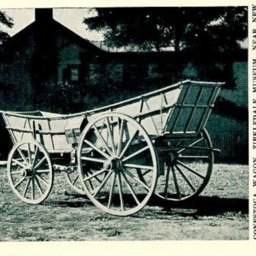 The museum was located at an unknown site near New Market Virginia, The wagon was supposedly constructed in that town. 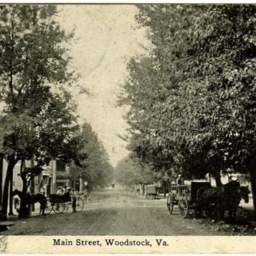 Postcard with a picture of Main Street in Woodstock Virginia complete with horses and wagons.